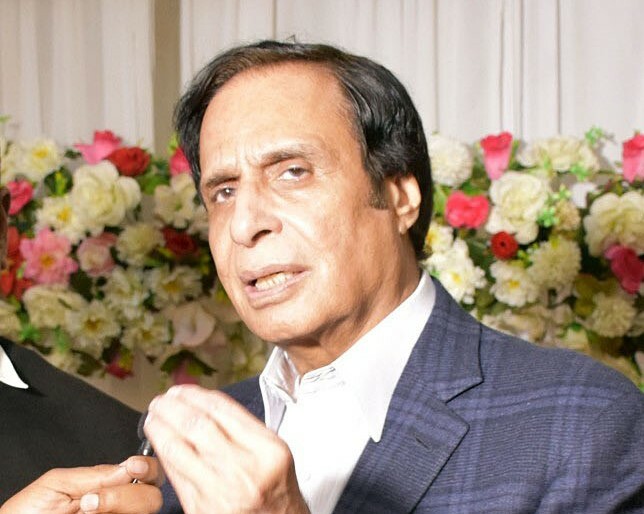 GUJRAT: Pakistan Muslim League-Quaid (PML-Q) central leader and former deputy prime minister Ch Parvez Elahi on Saturday said that owing to the Punjab government’s negligence towards the health sector, the public hospitals are facing a shortage of medicines and the people are losing their lives. He was speaking to the media at the marriage ceremony of Dr Ansar Mahmud’s daughter in Gujrat. Expressing sorrow over the mishap in Libya, he said the ministry of interior should take precautionary measures to put an end to the practice. There is no one to apprehend the agents who send these people abroad illegally. Replying to a question regarding the forthcoming elections, Parvez said that as for now the delimitations of the constituencies is taking place. The strategy will be finalised when the situation is clearer, he added. He further said that the PML-N-led Punjab government has destroyed the province. They have a personal enmity towards Gujrat and do not even bother about their regional representatives. During our tenure, he said, the best university was established in Gujrat, and the operations of Rescue 1122 were also launched. Shehbaz, on the other hand, is a champion of telling lies and never gets tired of doing so, said Parvez. The chief minister cannot even name a single project launched by his government for the welfare of the common man, said the PML-Q leader while adding that the representatives of Gujrat can neither speak for themselves nor raise their voice for the rights of the people they represent. The Wazirabad Institute of Cardiology becomes operational only when I tell media the truth or when the chief justice takes notice. The hospital remains nonfunctional otherwise, alleged Parvez. He questioned that if the ousted prime minister is unable to understand why was he ousted then how can he understand the ordeal of the people he was ruling over? Both the army and judiciary are respectable institutions that are the guardians of justice and the country, but Nawaz Sharif is targeting them, he said. Nawaz first attacked the Supreme Court and then got a judge attacked in Bahawalpur, he added.